1. No excuses for email personalisation laziness The #DCEI2016 revealed that email remains an essential marketing tool in business today. 96 percent of brands admitted email is their primary method of marketing communication, and 64 percent rated it as their most effective marketing channel. 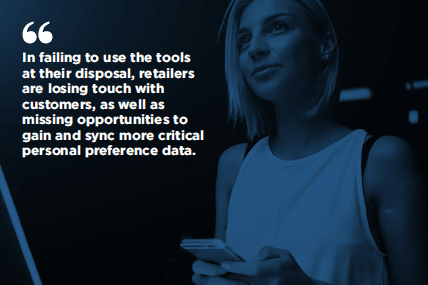 However, the report also revealed huge room for improvement in the way email is being used, with only 43 percent of brands choosing to engage with user-selected preferences. 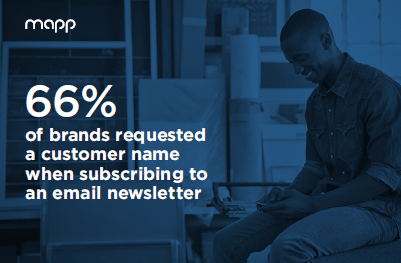 What’s more, most companies admitted to asking for additional customer information, but only a small minority actually personalise their emails by name (26 percent), or adapt their content based on user information (11 percent). As a mature, flexible, and efficient channel, email should form the perfect backbone of any good digital marketing strategy. However, brands that aim to be successful in this field should always aim to provide a level of email personalisation. A personalised email can yield greater customer engagement and increase ROI, whereas generic correspondence can be acknowledged, deleted, and forgotten in no time. To find that the majority of businesses are collecting customer details without incorporating this information into their emails is a huge missed opportunity. In future, marketers should be taking the time to analyse their customer data and adapt emails accordingly, in order to send more effective emails. 2. Room for improvement with Push Notifications The study found that 92 percent of brands have mobile apps that enable customers to make purchases. However, only 17 percent actually send any form of push notification, meaning the vast majority of brands are missing out on regular engagement opportunities for mobile-savvy customers. Of the push notifications studied in the #DCEI2016, 86 percent of brands rightly included calls to action, and 71 percent ensured their notifications redirected to a relevant website landing page. However, the study also revealed that many brands were missing out on more contemporary means of customer opportunities. Only 7 percent of businesses use push notifications to remind customers that they have abandoned their shopping cart with items remaining. Furthermore, only 20 percent of brands included engaging and personable emojis in their messages. Companies should be looking to provide regular and relevant push notifications as a means of engaging with their customers, and should work to perfect the timing of notifications as an effective way of increasing ROI. 3. Preference centres for continued customer engagement Insight from the #DCEI2016 also revealed that only 13 percent of brands feature a preference centre on their website, meaning the vast majority of these companies are missing out on key personalisation opportunities for customer engagement. A preference centre is a type of web form that can be included on your website or mobile app as a means of gathering data. They represent a fantastic opportunity to learn what your consumers want to hear about, which gives your brand a greater capacity to personalise website content to suit your audience. In an age when brands are striving to meaningfully engage with their customers, a preference centre is a simple means of making the difference. Providing consumers with the opportunity to outline their preferences should be an ongoing process that isn’t limited to new visitors. Continued communication with your customers is an essential means of ensuring your engagement grows and adapts alongside the changing wants and needs of your consumers. Have you read the Digital Customer Engagement Index? Do you have any advice for other brands hoping to improve their customer engagement? Please leave your thoughts in the comments section below. Alternatively, feel free to tweet your opinions on the report using the hashtag #DCEI2016.